Kids are invited to welcome Santa as he makes his helicopter landing from the North Pole to Jacksonville! WHAT: Santa Claus is coming to town! Jacksonville-area families are invited to celebrate the joy of the holiday season and welcome jolly ol’ Saint Nick to The Avenues! Santa will make a spectacular helicopter landing at The Avenues on November 6 for all to see! The fifth annual event will feature live entertainment by X-Hale and a holiday show by Mad Science. Additionally, attendees will enjoy bounce houses, face painting, photo booth, food, games, and a magical fireworks show. After meeting everyone on the nice list, Santa will take his place at his winter wonderland home in Center Court, where he will pose for photos and listen to holiday wishes through Christmas Eve. COST: Free. 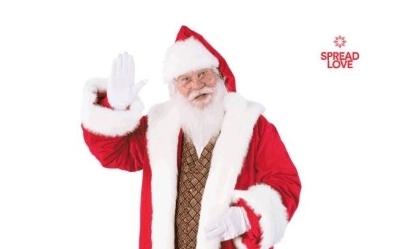 *Santa photo prices vary; please see Santa Set in Center Court for more details. Friday, November 6 from 6-8 p.m.
ABC Family’s 25 Days of Christmas! !